Services for Aunty Moana Eisele are this Saturday, June 24, 2017, at the Community Church of Christ in Makiki. Visitation is 9:00 a.m., with services at 11:00. Lunch to follow. We have many very fond memories of Moana as our kumu who taught us how to do ohe kapala to print our club kīhei. I wish to encourage our members to attend the services. 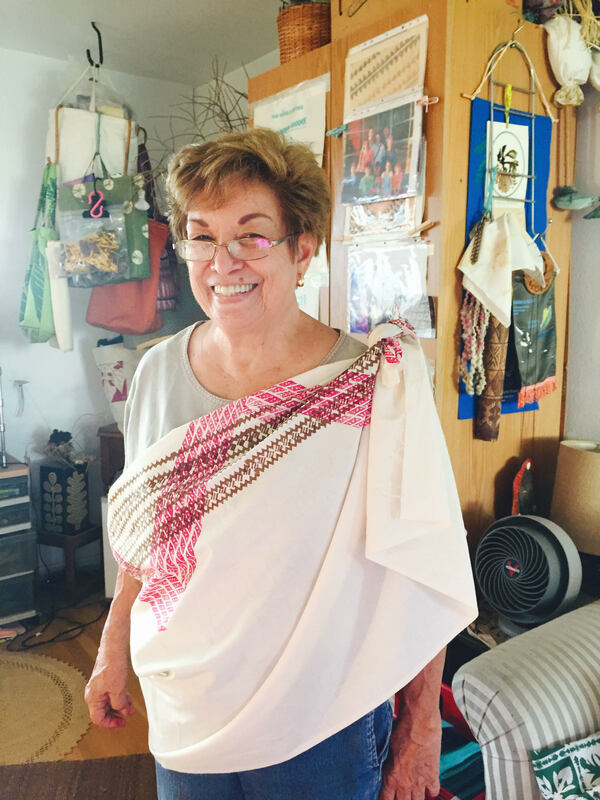 Meet at 9:30 a.m. and wear the club kīhei in honor of Aunty Moana. If you don’t have a kīhei yet, come anyway. This entry was posted in General on June 22, 2017 by Blaine Fergerstrom.